Renewable sources of energy have emerged as greener alternatives to solve the never ending power crisis as well as address the issue of environmental degradation. The increasing consumption of fossil fuels not only aggravates the issue but also burdens the country’s energy imports. Over the last decade, solar energy has become the prominent renewable source of energy in India, owing to the reducing cost of converting it to electric power through photo-voltaic cells. It also creates a large opportunity for employment. According to Ash Sharma, a solar research scholar at IHS, the global demand for solar power is estimated to increase by 25% by the end of 2015. 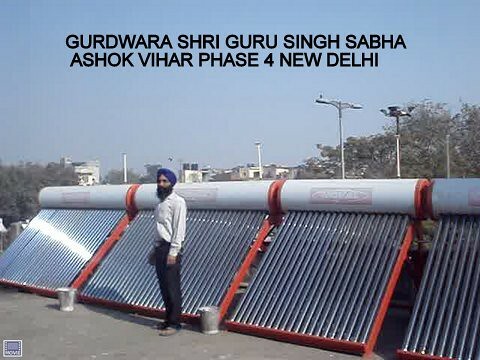 Particularly, the Indian government has envisaged a plan to introduce solar-energy in all households by 2019. While urban households have been adopting solar power panels for electricity and solar water heaters for heating purposes, rural homes have been unable to join in the alternative energy revolution due to high expense solar-powered products. Despite the declining cost, the rural masses are unable to afford this solution for their houses though they face crippling powercuts throughout the day. Typically, setting up a 1KW system for a household costs between INR120,000 to INR180,000, while small solar structures come for about INR50,000, which can support 3 lights, few fans and a television set. Typically, a rural household in India uses kerosene lamps for lighting and cow dung patties for water heating and firewood for cooking. These fuel sources are not only polluting the environment, but also cause serious harm to womenfolk due to their acrid smoke. Kerosene needs to be bought from the city, which adds to financial burden and makes rural communities dependent. So a non-polluting and cheaper alternative is drastically needed for rural households. Off-grid solar power is ideal for Indian rural households that suffer from severe power cuts and load shedding. “Rs. 300 a month is expensive, but Rs. 10 a day is fine,” this typical statement of a street vendor highlights the fact that India needs not only an affordable low-cost technology, but a proper financing mechanism as well. Fortunately, Microfinance has become as an enabler for rural masses in remote villages for adopting solar power, since it helps them bridge the viability gap. Villages need such a progressive financing method that not only considers the paying power of rural masses, but also increases household savings. Villagers can purchase solar power equipment on microfinance and repay their loan on a weekly basis through the revenue they earn. The loan is generally given for a span of 6 to 12 months to buy a solar-lighting device. Microfinance has become the mediator between the new-age solar-energy providers and below-poverty-line rural masses. Solar device manufacturers market their items to microfinance institutions (MFIs) who bring them to the villages. In the early days of microfinance, there were some serious issues related to higher interest rates leading to debt burden among rural borrowers. However, MFIs have come long way from starting with losses during the introduction of solar power modules and now shaking of hands with giants such as Tata Power Solar and Emmvee Solar. MFIs also provide loans to small-scale entrepreneurs who seek business benefits in solar power industry. This way, they can distinguish themselves in the corporate sector as well. SELCO India is the pioneer in micro-financing solar power in India. Founded in 1995 is a major social enterprise that supplies clean energy solutions to the Bottom of Pyramid users. SELCO India has partnered with MFIs like SEWA, Grameen Bank, Syndicate Bank, etc. Harish Hande, the founder of SELCO India says, “The poor end up paying more for the energy and this can be altered with the solar lights. An average end user would need to light up 3 rooms, but not necessarily 3 lights. Our technicians analyze the energy usage for a rural household and set up a solar device, thus customizing the need”. Similarly, there are other social enterprises that have built up a network of rural franchisees and micro-finance self help groups. Boond, Thrive Solar Energy and Frontier Markets are rapidly expanding their horizons in Andhra Pradesh, Karnataka, Manipur and Rajasthan. Thrive Solar Energy has partnered with WSDS Microfinance of Manipur to distribute their solar devices in the rural areas. Frontier Markets has established trustful relationship with rural residents of Rajasthan and Andhra Pradesh by working on over 20,000 clean-energy products with them. They also finance village level entrepreneurs (VLEs) and train them to show the technical specifications. These VLEs distribute the products by customizing them according to the users’ needs and sell it through small-scale entrepreneurs. BOOND is another social enterprise founded in 2010 for promoting alternative energy in Rajasthan, Uttar Pradesh, Delhi NCR and other northern states of India. By the end of FY2015, it has implemented projects in various sectors with installed capacity of over 1500 KW, impacting more than 100,000 individuals and many small-scale enterprises..